Choosing a college is one of life’s most important and expensive decisions. Perhaps you’re considering an online degree due to work or family obligations, or perhaps you’ve decided that a campus-based education just isn’t for you. Whatever your motives may be, it’s important to be armed with the most accurate information possible as you’re making your decision. Our mission is to provide the highest quality, most timely information possible on the degree areas we cover. Our sources include well-known college ranking publications like U.S. News and World Report, college websites themselves, and reputable 3rd party sources. We focus on institutions that are accredited by major accrediting bodies, and you are urged to verify a college’s accreditation status before enrolling. Online schools eliminate the worry of having to commute to or live on a college campus by offering the bulk of the learning in an online format. They allow participants to work from any location with an Internet connection. In many cases, students can set their own schedules, simply meeting the due dates established by the course instructor. There are even “time-out” options by which students can step away from courses for extended periods of time without forfeiting their curriculum or placing student loans into reimbursement mode. Besides the scheduling flexibility of accredited online degree programs, there are also a number of education levels available. Associate’s degrees are the least time-consuming option for those looking to re-enter the academic arena. Typically completed in two years, they cover nearly any discipline, serving as first steps towards a more advanced degree or an entry-level job. More commonly, though, a bachelor’s is the chosen option. A majority of employers now require a bachelor’s as a minimum requirement for employment, making them a highly sought-after online solution. Still, the reach of online degrees extends further. For those seeking the peaks of educational achievements, both master’s and doctorate degrees are available through online schools. Online degrees have their detractors. Many businesses will give preference to job candidates holding degrees from a campus-based institution. Many within academia itself remain skeptical of the online format. Add to this the dozens or hundreds of unaccredited, fly-by-night online “colleges” that offer a degree in exchange for tuition. If you value your investment and your time, these are to be avoided. Selecting a school can be challenging, but there are a few tips to help anyone starting the journey. One of the most important factors to consider is accreditation status of the school. Always consider the alignment of your degree with your chosen career path. If the online degree is a precursor to higher levels of education, make sure credits will transfer to the next institution. Failure to ensure transferability can mean extraordinary amounts of money and time wasted. And finally, financial aid options should be taken into consideration when a final choice draws near. 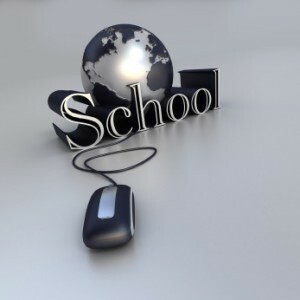 Many online programs offer some form of assistance through aid, loans, or scholarships. Discovering these options can be a major financial stress reliever. Our editors scan the web to bring you info on the top accredited degree programs in many key degree areas. How Much Do the Best Online Degrees Cost? There thousands of online programs to choose from. To be the best requires not only a commitment to education but to making graduates valuable and desirable to the workforce. Top-ranked schools display these qualities regularly. In 2013, Southern New Hampshire University was ranked number one by many in online education. With career oriented classes, a large library of disciplines offered, and numerous awards, the university proves its worth year after year. Right on their heels, Western Governors University offers a unique competency-based curriculum considered high caliber in the realm of academia. Both institutions keep their costs relatively low for the level of education involved. Southern New Hampshire University’s tuition rate is $1,881 per course while Western Governors’ runs $2,890 per six-month-term. With financial aid or some form of tuition assistance, these costs may be mitigated significantly. We provide a significant amount of information about available scholarships. Here’s one example. Enhancing one’s education is always a smart choice. With a clear head and knowledge on how to make online education work, the benefits are quite nearly unlimited.